CANTON, Mass. (January 28, 2015) – This week marks the one year anniversary of the launch of Dunkin' Donuts' DD Perks® Rewards program, offering guests nationwide points toward free Dunkin' Donuts beverages for every visit they make at participating Dunkin' Donuts locations. To celebrate the program’s first anniversary, this week Dunkin’ Donuts has a special present for its loyal guests, offering all DD Perks members an extra special perk of 200 points, good for a free, any-size beverage of their choice, with any purchase. This special anniversary offer is available through February 1. 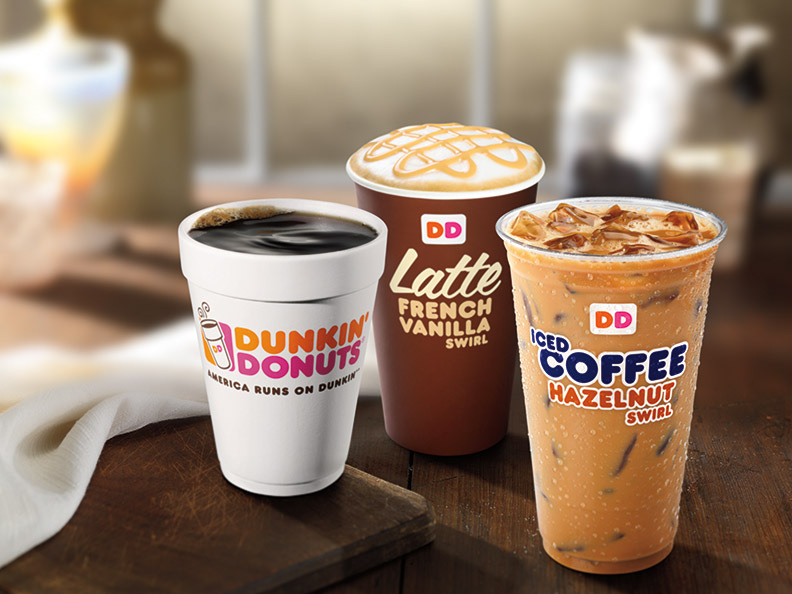 Also now through February 6, anyone who enrolls in DD Perks via the Dunkin’ Mobile® App using special promo code “BONUS” will receive a free $5 Dunkin’ Donuts Card and a free Dunkin’ Donuts beverage of any size. The $5 Card will be sent virtually to members via the Dunkin’ Mobile App upon DD Perks enrollment completion. To receive the Card, people must enroll in DD Perks through the Dunkin’ Mobile App, and must have an active Dunkin’ Donuts Card. With DD Perks, guests earn five points for every dollar they spend on qualifying purchases at Dunkin’ Donuts when they pay using an enrolled Dunkin’ Donuts Card, either plastic or via the Dunkin’ Mobile App. Once a member accrues 200 points, he or she receives a coupon for a free any-size beverage of their choice, redeemable at participating Dunkin’ Donuts restaurants. Members have the opportunity to share their rewards through the Dunkin’ Mobile App with friends, family and colleagues to help keep them running on Dunkin’. DD Perks members also receive a coupon for a free, any-size beverage upon enrollment and on their birthday. Additionally, throughout the year DD Perks members receive exclusive offers, rewards and bonus points towards their favorite food and beverage purchases. To enroll in DD Perks download the Dunkin’ Mobile App or visit www.DDPerks.com. The DD Perks program is fully integrated into the Dunkin’ Mobile App for enrollment and mobile payment, and is available for free from the App Store on iPhone or iPod touch or at www.itunes.com/appstore and from the Google Play Store at https://play.google.com/store. Through the App, guests can enroll in DD Perks, view point balances, access exclusive offers and much more. The Dunkin’ Mobile App also allows guests the option of sending virtual Dunkin’ Donuts Cards to friends, family and colleagues with the mGift feature. Dunkin’ Donuts Cards can be mGifted three ways: via text, email, or Facebook Connect. Dunkin’ Donuts Cards are available in-store in amounts from $2 to $100, at many pharmacy and big box retailers, as well as through the Dunkin’ Mobile App and at www.DunkinDonuts.com. Dunkin' Donuts Cards never have fees and they never expire. To learn more about Dunkin’ Donuts visit www.DunkinDonuts.com or follow us on Facebook (www.facebook.com/DunkinDonuts) and Twitter (www.twitter.com/DunkinDonuts). Founded in 1950, Dunkin' Donuts is America's favorite all-day, everyday stop for coffee and baked goods. Dunkin' Donuts is a market leader in the hot regular/decaf/flavored coffee, iced coffee, donut, bagel and muffin categories. Dunkin' Donuts has earned the No. 1 ranking for customer loyalty in the coffee category by Brand Keys for eight years running. The company has more than 11,000 restaurants in 36 countries worldwide. Based in Canton, Mass., Dunkin' Donuts is part of the Dunkin' Brands Group, Inc. (Nasdaq: DNKN) family of companies. For more information, visit www.DunkinDonuts.com.